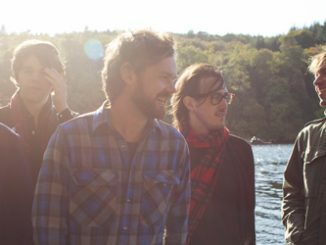 After a four-year hiatus, Idlewild returns with album number eight: Interview Music. The group started working on Interview Music straight off the back of their last record, Everything Ever Written, but didn’t start piecing it together until years later, at guitarist Rod Jones’ home studio in Edinburgh. Interview Music sees the return of The Remote Part and 100 Broken Windows producer, Dave Eringa, who reaffirmed his connection with Idlewild following the fifteenth-anniversary shows of their The Remote Part LP. Whilst Idlewild and Eringa are spiritually bonded by the past; Idlewild have promised not to go back to basics on Interview Music, with inspiration coming from, according to singer Roddy Woomble, “dreams and dreaming and the thoughts and ideas that come from this state”. Interview Music opens with Dream Variations which impresses with piano keys similar to Death Cab for Cuties’, I Will Possess Your Heart. This song then transcends into psychedelic sounds, like those featured in The Beatles, Sun King. Roddy Woombles’ distinctive vocals are distorted and unrecognisable here as he sings, “dreams why do they have to be so cruel”. 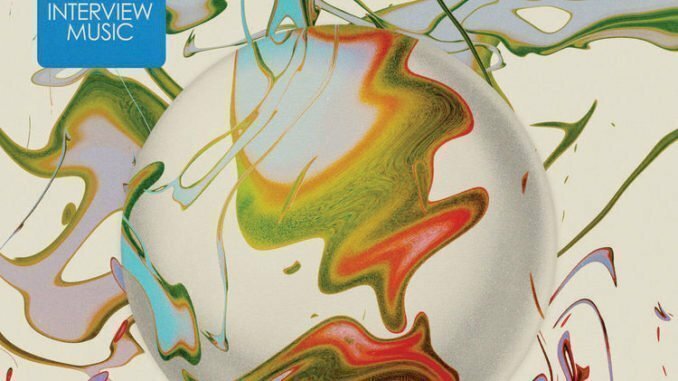 Whilst these lyrics suggest the antithesis of a happy dream world; musically, Dream Variations has the positive effect of transporting one into a happy dream labyrinth. There’s A Place for Everything follows, an upbeat pop track about coming out of solitude which has a familiar sound to David Bowie’s’ Ashes to Ashes with its distinctive echo piano keys (albeit with more guitar). Woombles’ distinguished, undistorted vocal style compliments this new musical direction. The album title track, Interview Music follows. There is both familiarity and experimentation with tenacious guitar riffs fuelling further excitement. The best surprise is the organ arrangements. One feels by the end of this track that Idlewild has deftly both made themselves uncategorisable whilst being proudly rooted in The Remote Part and 100 Broken Windows. Dave Eringa’s distinctive production pleasantly permeates on You Wear It Second Hand and on Same Things Twice. On Same Things Twice, the rawness and ruggedness from 100 Broken Windows instantly kicks in whilst being jovially accompanied with subtle organ arrangements. The earlier psychedelic influences then return on the intro to I Almost Didn’t Notice which then evolves into a pleasant, understated melody of simple piano keys and guitar strumming. There is also an occasional distorted guitar riff serving as the ideal cherry to top this track. Miracles has an original pounding and galvanising (but not aggressive) pulse racing effect to it. Idlewild create this effect by relying not on the guitar, but by using what has been their new saving grace so far on this LP: the piano. Mount Analogue continues to positively change Idlewild’s’ musical direction as does Forever New by opening with a mellow intro. Interview Music concludes with a chilled, quiescent, yet haunting piano ballad called Lake Martinez. The tabs of the verses have an unintended connection with Miley Cyrus’, Wrecking Ball, but nonetheless generates melancholy emotions which perfectly wraps up Interview Music. Idlewild allow themselves to venture into new territory on Interview Music. They have not mellowed, they have evolved and demonstrated that they can both galvanise and captivate with pianos and organs just as much as they can with the guitar. Idlewild have worked out how to blow people’s minds with non-mainstream ideas and sounds and yet consistently keep Interview Music as a record that is instantly accessible and never uncomfortable or over challenging. As well as doing all this; Idlewild also pay homage to the earlier rawer and gruffly sound seen particularly on 100 Broken Windows. IDLEWILD – release video for ‘Every Little Means Trust’ starring Jay Baruchel!